You will need Laravel 5.6+ and Node 8.10+ installed on your machine. In this tutorial, we will look at how to set up Laravel Mix to compile SCSS, LESS or plain CSS for your application. Laravel Mix is a tool for compiling and optimizing assets in a Laravel app. It's similar to a build tool like gulp, Grunt and such like. 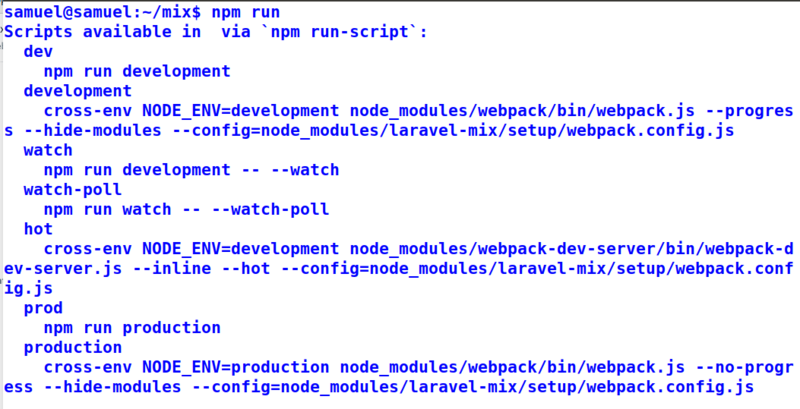 it's specific to Laravel but can also be used externally as an npm package. Laravel Mix covered 80% of Webpack's use case to make compiling assets easier. In a nutshell, Laravel Mix compiles, minifies and stores your assets in your application's public folder for easy reference. This tutorial assumes you have a basic understanding of Laravel v 5.6+ and since Laravel Mix is an npm package a little familiarity with npm will help. However, it is not required. 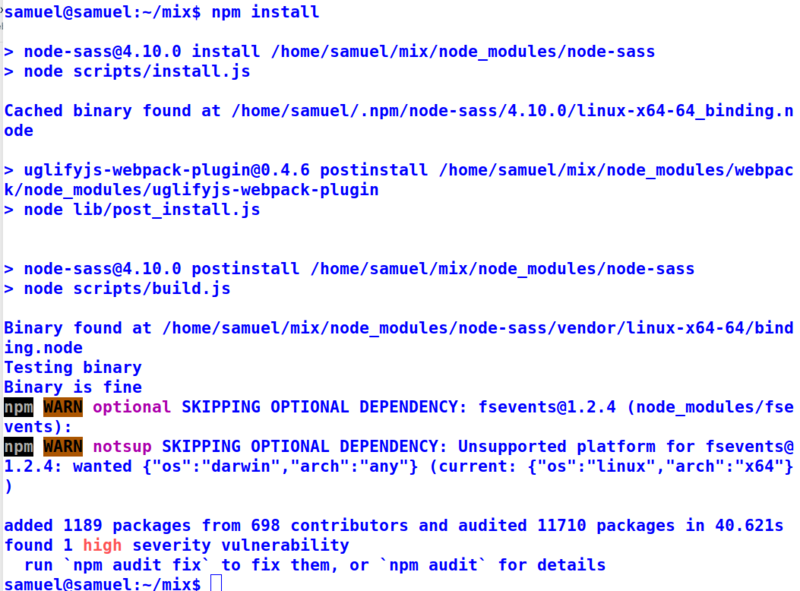 You will need to have Node v 8.10 + and npm v 5+ installed on your system. If you don't you can install it by following this guide. 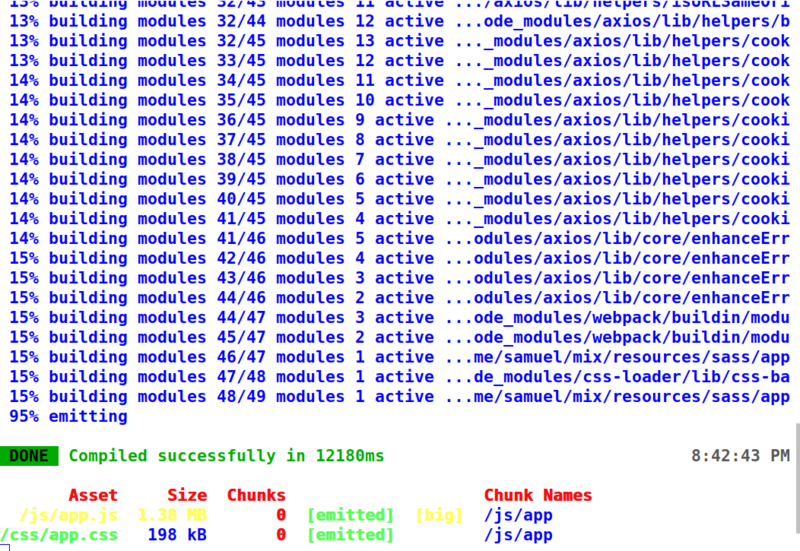 After installation, a node_modules folder will be added to your project's directory. But for our purposes, we'll be concerned with the resources folder and the webpack.mix.js file in the project root which is where Laravel Mix does all its magic. /* Copyright 2011-2018 Twitter, Inc.
npm run dev: this compiles the assets down to the public directory npm run watch: this compiles the assets to the public directory but also watches for new changes and auto updates. 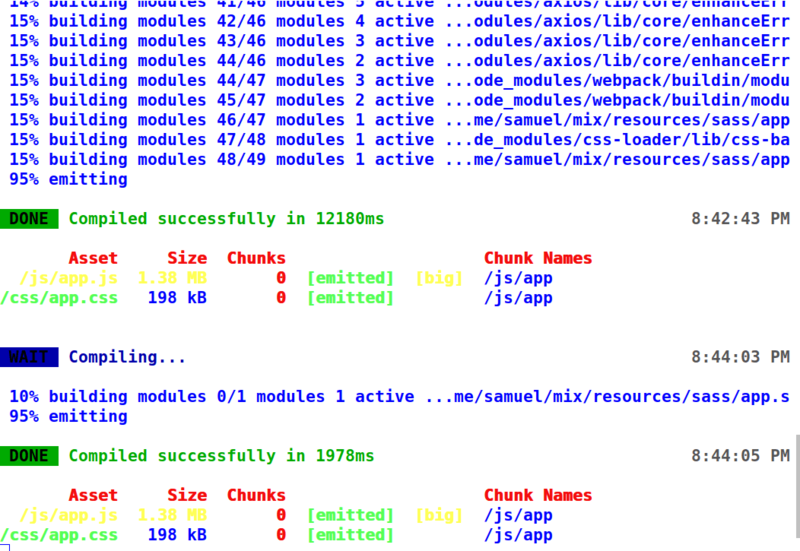 npm run prod: this compiles and minifies the assets to the public directory. Let's see how these various commands work. To see this in action let's add code to our scss file in our resources/sass directory. Open the app.scss file and add the following lines of code to it. Once you save if you check your terminal you'd notice it auto-compiled with you typing any npm commands. Although it happens quick, you can always confirm by looking at the time difference of the last compilation. As you can see in the comment it says By default, we are compiling the Sass | file for the application and bundling up all the JS files. By default, Laravel assumes you will use sass for your development. However, other methods exist depending on your choice of language. In this tutorial, we have seen how to work with Laravel Mix in our applications to make asset compilation a breeze. This tutorial is merely an introduction, to learn more about Laravel Mix visit the official docs page or the visit the Laravel Mix website. If you would like to play around with the code for this tutorial, it is hosted in this public GitHub repository. Thanks for reading! Happy Development!